South Jordan, UT and Boston, MA - CallTower, a global leader in delivering cloud-based enterprise-class unified communications and collaboration solutions, announced today a Billing as a Service (BaaS) platform for partners. This program empowers CallTower white label partners to sell their own branded cloud communication solutions while yielding a higher profit margin. CallTower exists to enable people to easily connect to transact business communications. Since its inception in 2002, CallTower has become a leading provider of cloud-based, enterprise-class Unified Communications solutions for growing organizations worldwide. 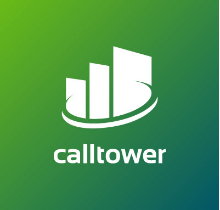 CallTower provides, integrates and supports industry-leading, cloud-based, Unified Communications and Collaboration solutions, including Cisco® Unified Communications Manager, Microsoft® Skype for Business, Metaswitch Hosted PBX, Office 365 and Adobe Connect services for business customers.